On the surface, there aren't lots of common points between Instapaper and Pinterest. One is focused on making web pages easier to read by getting rid of all superfluous content, the other is an online scrapbook of beautiful images. But there's more to each service, and once you consider them both as ways to save and organize interesting things you find online, the similarities become more apparent and this news makes more sense. 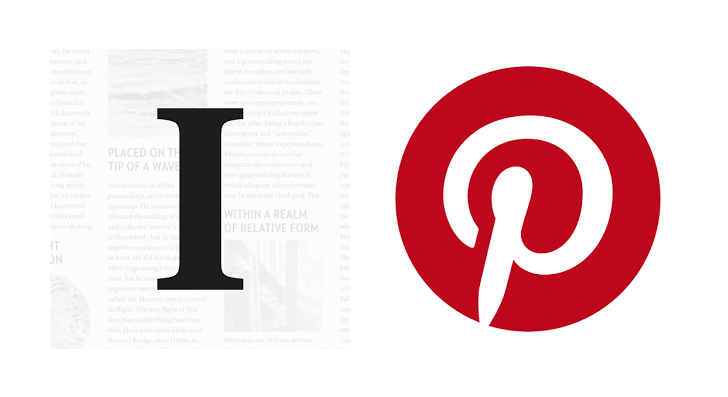 Pinterest is acquiring the Instapaper team from betaworks, the company that bought it from its original developer Marco Arment about three years ago. The financial details of the deal haven't been disclosed yet, but the Instapaper team has announced it on its official blog. 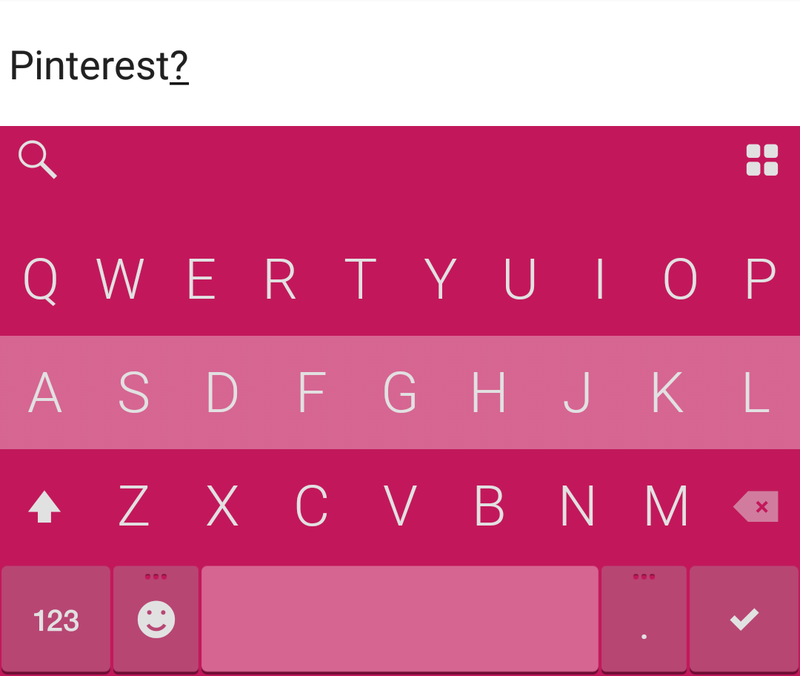 Fans of the Fleksy keyboard started to reach out recently to see if we knew why the company had seemingly gone quiet. Support emails were going unanswered, the website was down, and the Twitter account had no updates. All very suspicious, but the most we could get out of the company's PR was that more information would be available later. Well, it's later, and the information is that Fleksy has been acquired... by Pinterest, for some reason. 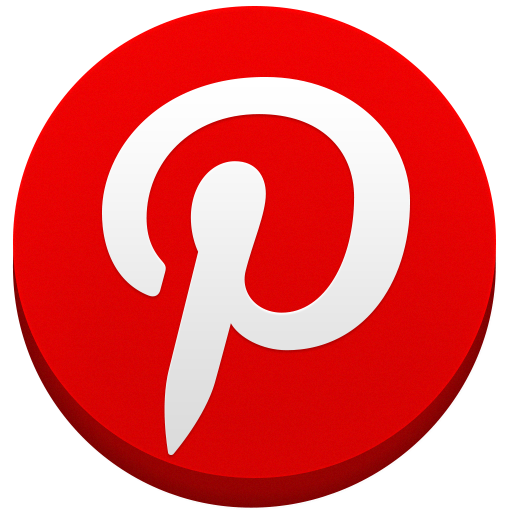 Pinterest, the social media platform of choice for aichmophiliacs, is a great place to look at ideas for home decorating, fashion, crafts, and a thousand other things. I'm not much pinterested in the site, but my wife sure loves it. Some days she spends hours poring over the app, searching for inspiration for her latest project. 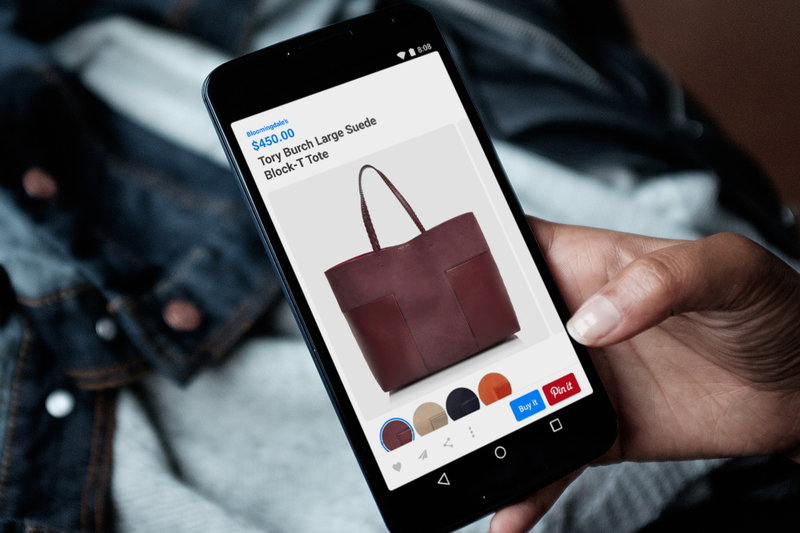 Now, with the introduction of buyable pins, she, and all other Android users, can buy many of the products they see with just a couple of clicks. Great... I'm so excited this is a thing now. Artem, I'm going to need a raise. Let me step back a minute and explain what a buyable pin is. 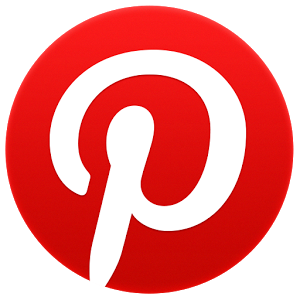 Pinterest is all about sharing photos of things you like and browsing the great many items that other users have pinned. For such an inherently social experience, it's relatively solitary, despite people having the ability to comment on one another's pins. 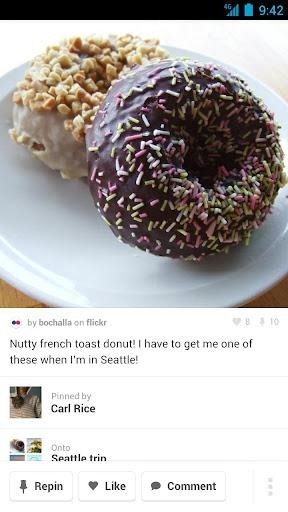 Users can recommend something for their friend to pin instead, but that's the social equivalent of handing someone a magazine clipping and walking away. Well, now Pinterest is reaching out to grab your shoulder so that your friend can have time to respond. 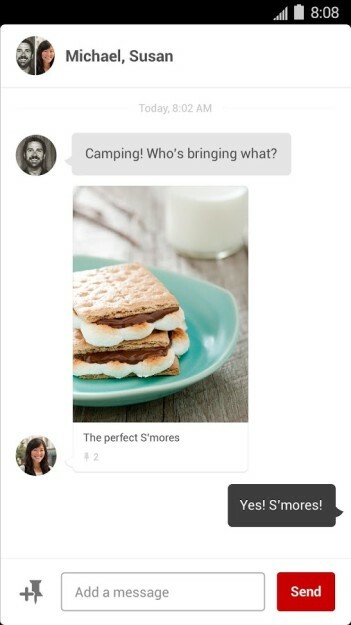 Or, to drop the metaphor, the company has added messaging to both its Android and iOS apps. Now when someone receives a pin, they're able to reply with a message or reciprocate with a another pin without leaving the app. If you need to mass spam - I mean, notify - a bunch of people at once, Everypost might be the app you need. 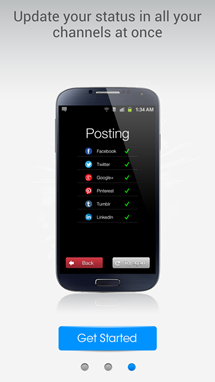 With Everypost, users can upload photos, videos, or text and blast it out to Facebook, Twitter, Google+, Tumblr, and other networks, including the anti-social Dropbox. 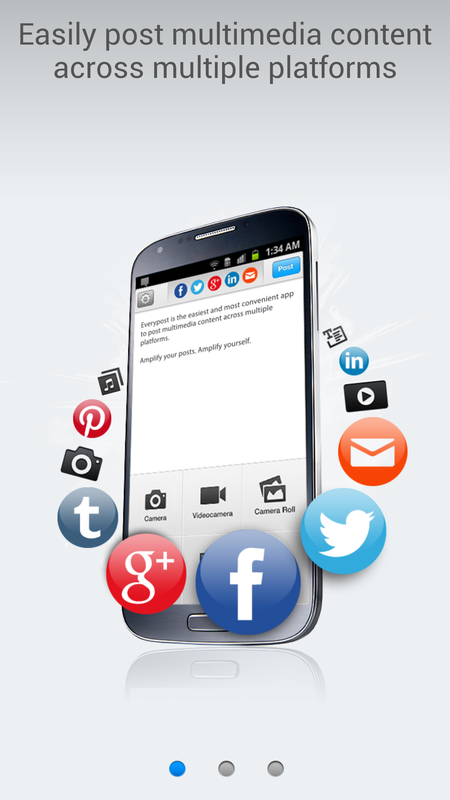 As social networking continues to grow in importance, tools like this are real time-savers. But here's the thing, there are plenty of options out there, so is Everypost worth your time? That depends on if you can get it working. For a quick introduction, view the trailer. Just ignore the fact that the overly-happy users have iPhones in their hands, as the core experience is essentially the same. 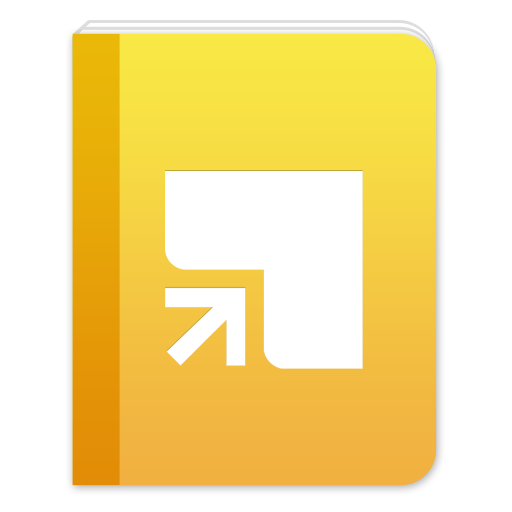 If you were to throw Evernote and Pinterest in a room together and give them enough time to breed, the end result would be Springpad 4.0. 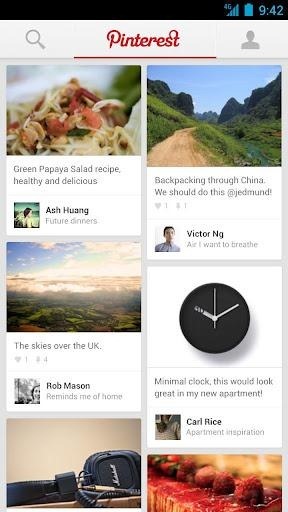 That's not to say anything bad about the new Springpad update, of course – both Evernote and Pinterest are fantastic apps. And their little bundle of joy got its father's usefulness (Evernote) and its mother's good looks (Pinterest). It's a win all around. Existing users of Springpad should still feel right at home in the app, but will notice a more streamlined approach to accessing their "Springs," which also includes Springs from followed users as well. I have some news for you, guys: Pinterest isn't just for women. Contrary to what some people may believe, it's actually a service for, well, everyone. In fact, I've been using it to research desk and home office ideas for the last few weeks, and it has been a fantastic aid in my quest to find the perfect setup. Here's how it all started: I routinely check some of my favorite office design sites - like Minimal Desks and Simple Desks (the latter of which isn't updated as often) - for new ideas on how to rearrange my home office in a more simplistic and minimal, yet practical way. 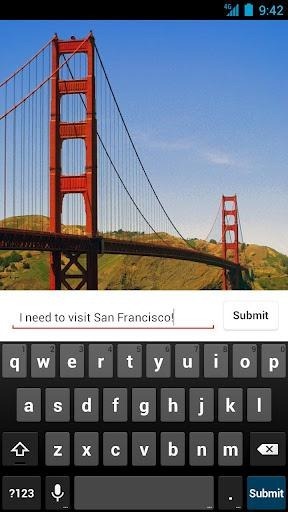 Those of you who obsessively share photos to Pinterest, the rapidly-expanding and all-encompassing social network built for just that purpose, can finally do so from your favorite mobile platform. Pinterest has published the long-promised app to the Play Store for both smartphones and tablets, and unlike some other photo-centric sharing services we could mention, it actually looks pretty good. The interface mimics the bulletin board looks of the desktop web site, taking advantage of extra real estate on tablets to display more columns of popular photos or your stream. Nearly all of the functions of the web service itself are represented: once you log in, you can share photos directly from your camera (or just links, of course), re-pin items to your own stream, or share to any social network or storage service that supports Android's APIs. Pinterest, everybody's favorite...umm...thing. That you share stuff on. By pinning things to...okay, look I don't really understand Pinterest. But some of you guys do and that's great! I love it when people enjoy things! It makes them happy! And soon, you can enjoy Pinterest on Android! And be happy! Then you can pin your happiness to something. I think. Eagle-eyed gadget site from the future Australia, Ausdroid, noticed that among the list of exhibitors in the official Google I/O app is Pinterest, Inc. The company's profile in the app says the app is "Now available for Android." 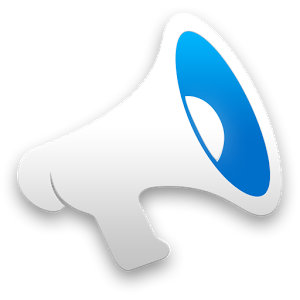 For those who like to do their own personal confirmation, the listing can be found under Explore > Android > Sandbox > Pinterest.